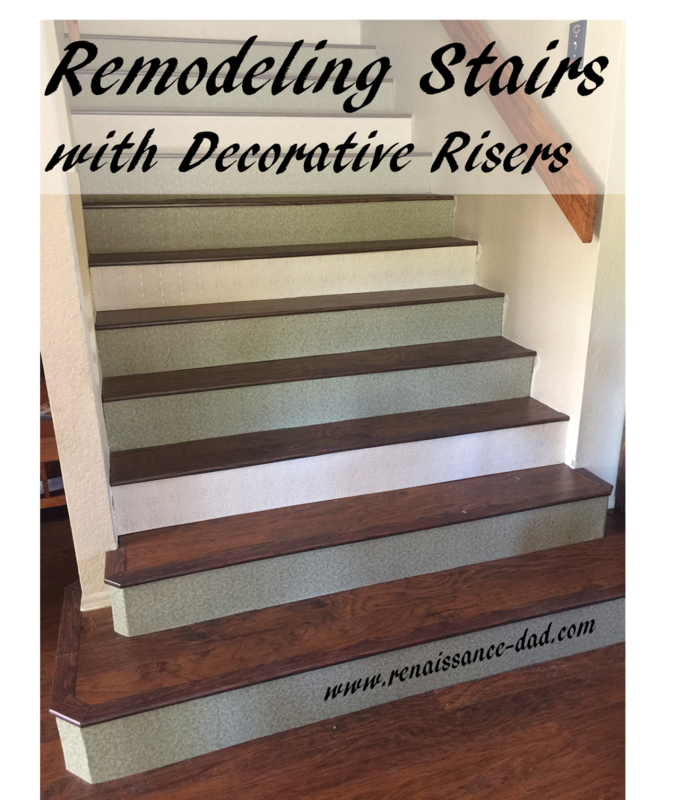 When my family and I decided to redo our floors, I knew that our stairway would be a challenge. Do you remember the scene in Pee Wee's Big Adventure, when Pee Wee Herman came across the pet store that was on fire? Pee Wee ran in and opened the puppy cages. Then he ran by the snake terrariums, gave a look of disgust, and continued to save the kittens. On and on he went, passing the snakes, making a face, and saving other animals. Finally, he knew that he could no longer pass the snakes, so he grabbed two fistfulls of them, ran outside, and passed out. That was how I felt about the stairs. I would walk by them, shake my head, and move on to some other part of the flooring project. I worked in the kitchen, looked at the stairs, and moved on to caulking. Then I looked at the stairs, and moved on to the living room. Then the laundry room, bathroom, dog, and ceiling fan. I floored things that should never be floored. And then I had to face the stairs. Carpeted stairs - they look happy in spite of the old carpet. The first thing I had to do was pull off the carpeting, the tack strips, and the 3.7 million staples that were used to attach the carpeting to the stairs. Next, I had to cut the bullnose off of each stair (this is the overhang that would have interfered with the flooring on the deck [the horizontal surface]). Finally, in preparation for covering the stairs, I had to cover the risers (vertical surface) with pieces of plywood, just to give some evenness to the stairs for our covering. Here is where I had a wonderful conversation with my five-year-old. My son was working with me and helping in the fantastic way that five-year-olds can help. He would take staples and put them in a bucket. He would use the pliers and try to pull staples out. And then, when we pulled off some carpeting, he discovered a knothole. I wonder what's going on in there. That boy sat there staring at the knothole for minutes. He looked at it from so many different angles. He poked his finger into it. And then he said, "Daddy, please don't cover that hole. I think it's a knothole like Ralph (from The Mouse and the Motorcycle) lived in." We then had an entire conversation about what the mice that lived in that knothole might do. Did they ride around on his motorcycles? Play with his Legos? What did they eat? How many were there? He was so fascinated, and I loved watching him and listening to his imagination spinning and thinking and creating. It was great! I almost forgot that I had stairs to work on. Back to work... After the risers were covered with plywood, I laid the new floor on the deck. Because they are stairs, the pad had to be removed and the flooring had to be glued down with a construction adhesive. Finally, a few nails with the nail gun to keep everything in place, and we had new stairs. For the risers, we didn't want to install more of the flooring. I thought this would be too dark, and between the flooring and our furniture, we have plenty of wood around. After spending irretrievable hours on Pinterest, we decided that it would be really cool to wallpaper the risers. We found a wallpaper store (yes, they still exist), and after getting several samples, settled on two different colors of the same wallpaper, alternating them in a 1-2 pattern. Installing the wallpaper was a breeze. The result is a wonderfully light and classy stairway, which really highlights the banister that need to be replaced and the walls that need to be painted. But at least the snakes are safe! And the mice have their hole underneath the wallpaper.